ERIC SPRINGER, along with John Horty, was a founding partner of the law firm of Horty, Springer & Mattern, P.C. in Pittsburgh, Pennsylvania and now serves of counsel. He has edited and authored several books and has written widely in health and legal journals. He is a member of the faculty of the Estes Park Institute, an Honorary Fellow of the American College of Hospital Executives, a charter member of the American Academy of Hospital Attorneys as well as a Fellow of the American Public Health Association. 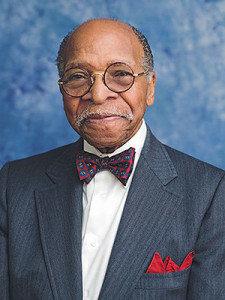 He serves on the Board of Duquesne Light Company and he is a Trustee Emeritus of the Presbyterian-University Hospital of Pittsburgh as well as the University of Pittsburgh Medical Center.